Captain Curran's sailing blog: How to sail your sailboat: owning your cockpit. How to sail your sailboat: owning your cockpit. To feel confident while sailing, you really need to own your cockpit. Your cockpit is the control center of your pleasure craft. It's where all the action happens. The tiller is in the middle, the sail sheets are drawn back to the cockpit, the navigation instruments are all there. It's all happening in the cockpit. A good skipper will enter their cockpit like a rock star walking on a stage. You got to own it! This is especially important when your confidence is shattered. Sometimes, the highest expression of owning your cockpit is not being in your cockpit. You are standing on the bow looking back at the cockpit. The tiller is lashed down and the sails are full. You are alone at Sea. You have stepped out of your own skin, you're hovering just above your body. You feel good. This moment will last exactly ten seconds. Okay, another boat is approaching and its on a collision course. Hurry back to the cockpit! Don't drop your camera! How to sail your sailboat: putting your boat on the rocks with style. How to sail your sailboat: climbing the mast. How to sail your sailboat: mixing a cocktail while underway. 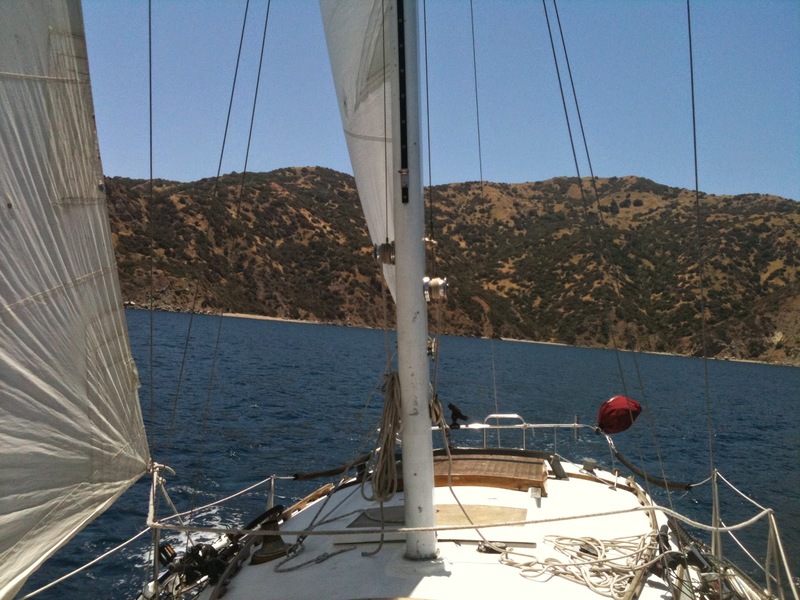 How to sail your sailboat: coming to terms with your slowly, sinking ship.